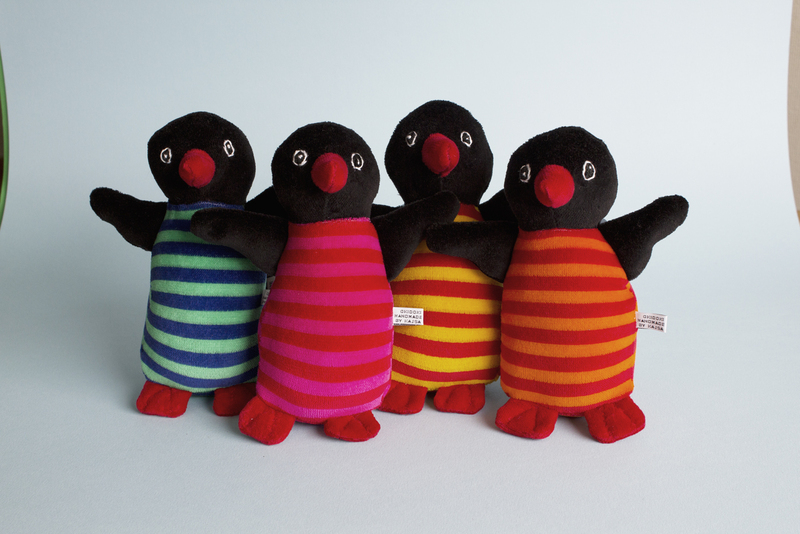 The first collection was released in 1989 and was sold through mailorder. 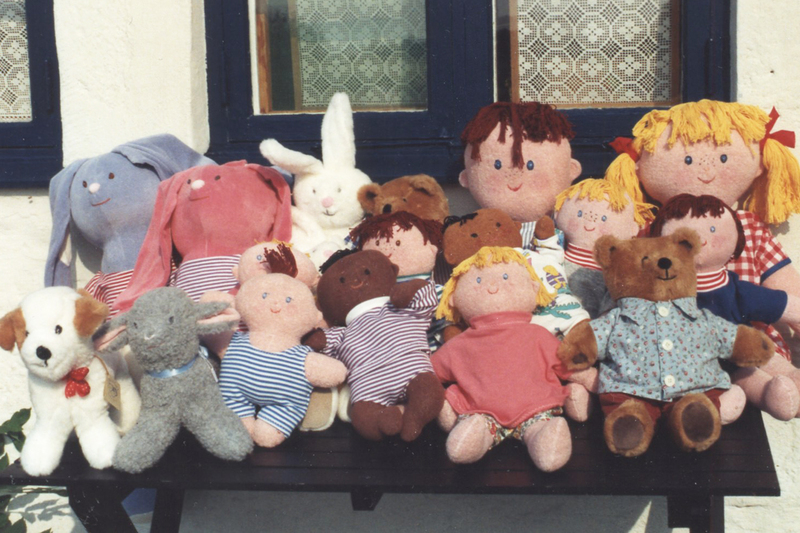 The material in the bears and rabbits was synthetic fur, in the dolls stretch terry. 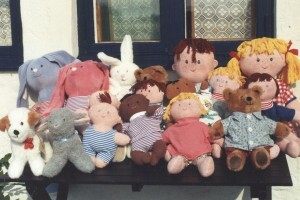 They where stuffed and emroidered by hand which gave each one personality. Now I make all the soft toys in my own studio again and keep it at a low level. 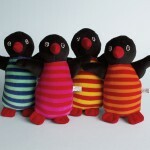 The basic bears and rabbits have new friends now and then like these penguins in striped velours.